Today, culinary art is one of the most sought-after career options in the country. A chef is a culinary professional whose primary responsibility is to cook and present exotic dishes. As a chef, you will have to create a wide variety of foods like appetisers, snacks, salads, main dishes and desserts. Eventually, you will create your own recipes and design your menus. As you grow in your career, you will have to maintain the inventory for the kitchen, buy kitchen supplies, monitor the quality of food, reduce wastage and operate business. You will also have to hire and manage staff and inspire them to work efficiently. Famous Chef Sanjeev Kapoor has gone online. Original recipes from all over India, a comprehensive reference guide for spices, basic techniques, tips and lots of tricks. A well-designed site with loads of recipes, an order section and delicacies like kaju barfi, tomato shorba and coffee frappe making etc. A web site from Mrs. S. Mallika Badrinath - a prominent figure in the Indian cookery scene . Her television shows are famous all around the globe. A complete site on cuisine. Recipes, a glossary of terms, weights and measures and quickie cook tips. A complete resource not only on dining but a hotel guide, restaurant listing and recipe corner. The ultimate cooking site. Cooking advice, recipes and shopping all in one location. Cooking, culinary, food, gourmet, recipe, and wine information. A guide with cooking definitions, cooking facts and professional recipes. Information, food features cover history, usage, and many recipes for individual foods, cooking methods, and appliances. 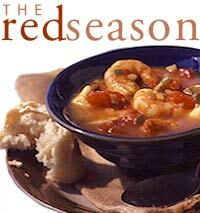 Great site with many recipes, tips and anecdotes. Gives a variety of recipes for tamilians and others. This page provides an index of pages providing recipes for Indian food, plus an archive of Indian recipes. Asian Recipes and information on food culture, cooking equipment, glossaries, food history,desserts, herbs and Chinese Medicine. Whip up a spicy sambar, try out payasam. Here's a collection of recipes for some evergreen southside favourites. Great Meals Salads, CHICKEN RECEIPS and more..
A comprehensive resource for Indian cuisine, recipes and a hotel guide.